London boasts many a fine riverside pub. Few, though, have the additional advantage of lying in a park. 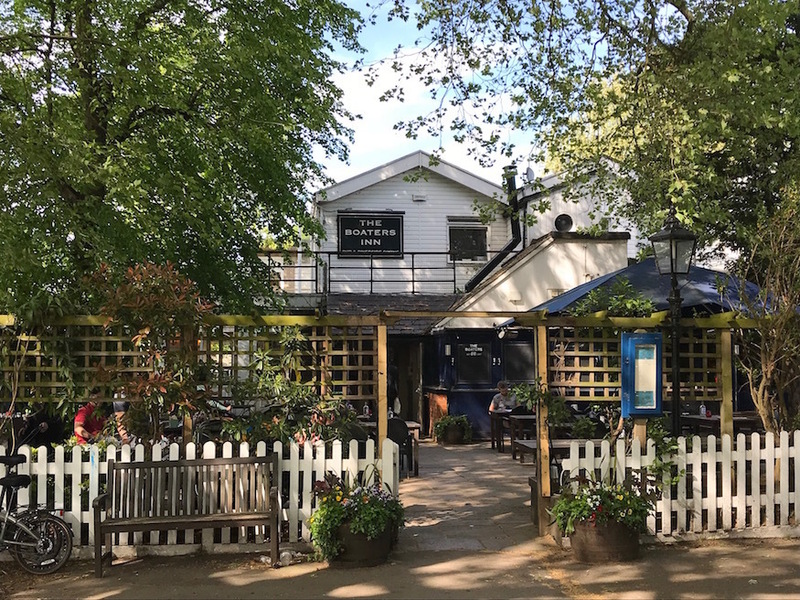 The Boaters Inn, a 10 minute walk from central Kingston in Canbury Gardens, finds itself in just such a happy position. The plum seats are in the thin terrace facing on to the river. 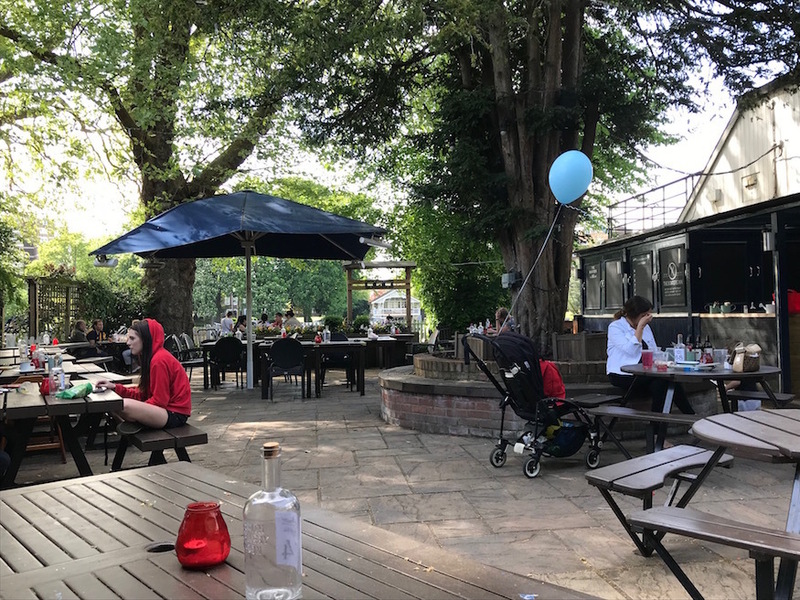 There are few finer places to sit and take in the Thames with your drink of choice. Time things right, and you can watch the sun go down over the river from this west-facing vantage. How romantic. Sadly, these seats were all booked out on our most recent visit, so we opted for the beer garden instead. This is also perfectly pleasant, though Thames views are more restricted. 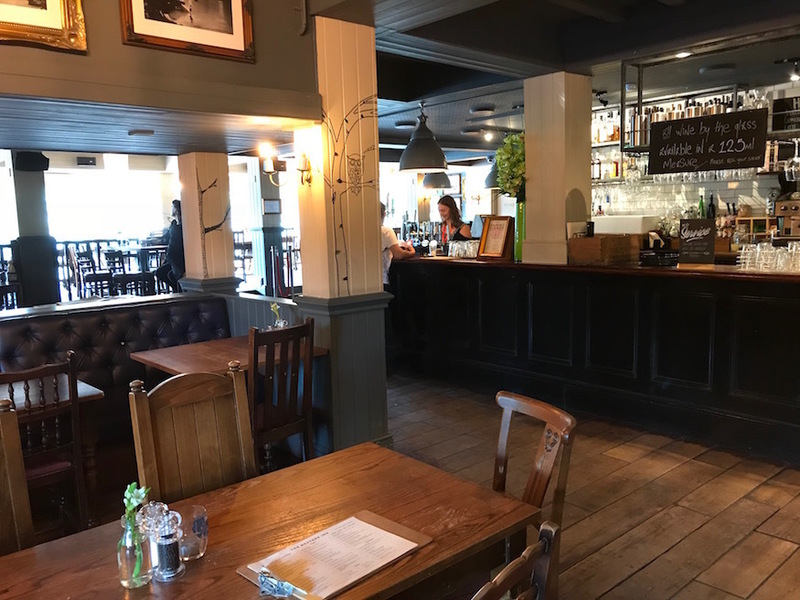 Inside, the Boaters is a perfectly orthodox food-focussed pub with paint-by-numbers decoration. 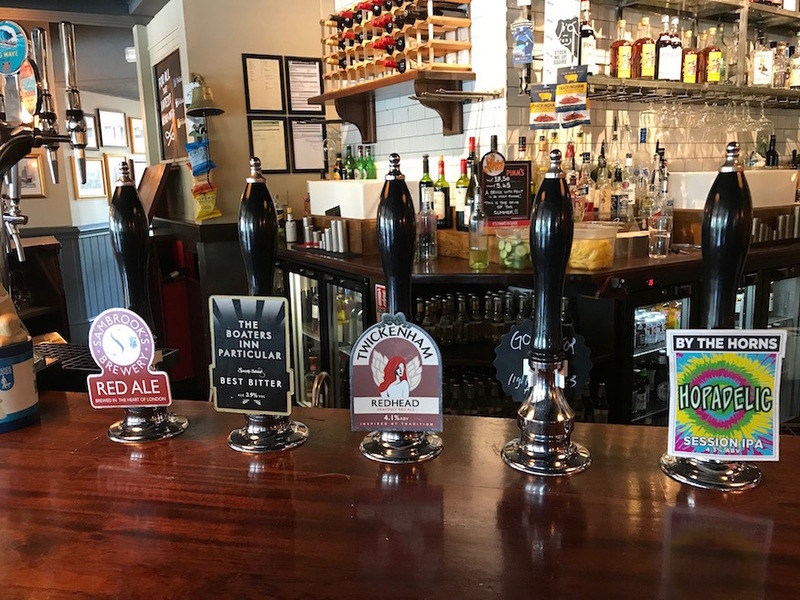 The beer choice is above average, though, with ales from London familiars like Sambrook's, Twickenham and Tooting's By The Horns. On Facebook. On Twitter as @TheBoatersInn. On Instagram as @theboatersinn.